There are so many things I could say here, but one resounds stronger than any in my heart. Up until this year, I was very quiet, even apologetic about my grief. If someone asked a question that inevitably led to me mentioning Skye, I felt almost ashamed that I had to answer in a way that made them uncomfortable. In turn, that left me in pain, ashamed of my own feelings, saddened that I didn’t do my daughter’s memory the justice that it deserved. For most of 3 years I was a silent sufferer, afraid to shadow an oblivious world with the fact of my grief. Then, as I began speaking about her, a beautiful thing happened. I began meeting moms I had never suspected that had suffered a similar loss. I met dads and grandmothers who I had known for several years, but I met the grieving side of them for the first time. Like me, they felt obligated by our society to be silent about the fact that their child had died. We are “allowed” to speak about a friend who passes, a mother, father, grandparent, public official – any well-known person that many people have met and remember. However, if the lost loved one happens to be an unborn baby or a baby that never took a breath at birth, or even a tiny baby that lived its entire life in the NICU, so many people squirm. They don’t know what to say, so for some reason they say things like, “At least you didn’t have time to get attached,” or “You can have more children, healthy children this time,” or worst of all, they say nothing. The more you speak about your child, the more withdrawn your circle of “friends” get, so you learn to be silent. You don’t forget though. You never forget the tiny person who touched your life so deeply. No matter how small they were, they were your’s and you loved them with your entire heart. It is a shame that our modern society makes us feel bad for loving, caring, remembering our children. If there is one thing I want the world to know about my grief it’s that my daughter was and is a person. I refuse to feel shame for speaking about her as often as I feel the need. I now know there are so many people just like me, moms, dads, grandparents, aunts, uncles, brothers, and sisters. You don’t realize it, but you know at least one, right now, who has been deeply affected by the loss of a young child. You know them personally. She is your friend at work, your child’s teacher, a lady in your church, the gas station clerk you chat with every morning. When you find her, don’t feel bad or uncomfortable. Just let her break the silence and offer her the same sympathy you would to someone who lost their parent or spouse. Don’t change the subject quickly and make her feel like she is a terrible person for mentioning what is probably the most precious thing she has ever had. Oh, how little time we had, in retrospect. At the time it seemed endless, every day seemed like it would never end, like the time we had with her could stretch on and on if we just hoped enough and prayed enough. We were so tired and weary with the not knowing, with the endless cycle of different doctors projecting a possible diagnosis that always came up empty, giving everyone more questions than answers. We wondered if we would have to make hard decisions her whole life, if she would ever have a chance to be “a normal kid” or would it be test after test after procedure for the next few years. We couldn’t know we would not even have a month with her. If we could have known how little time we had, we would have done everything differently – and yet there isn’t one thing I think I would change, except I would have held her. I would have brushed my caution aside and held her every minute I could, I would have savored every second. All of it seems so unimportant now in the face of what I know. 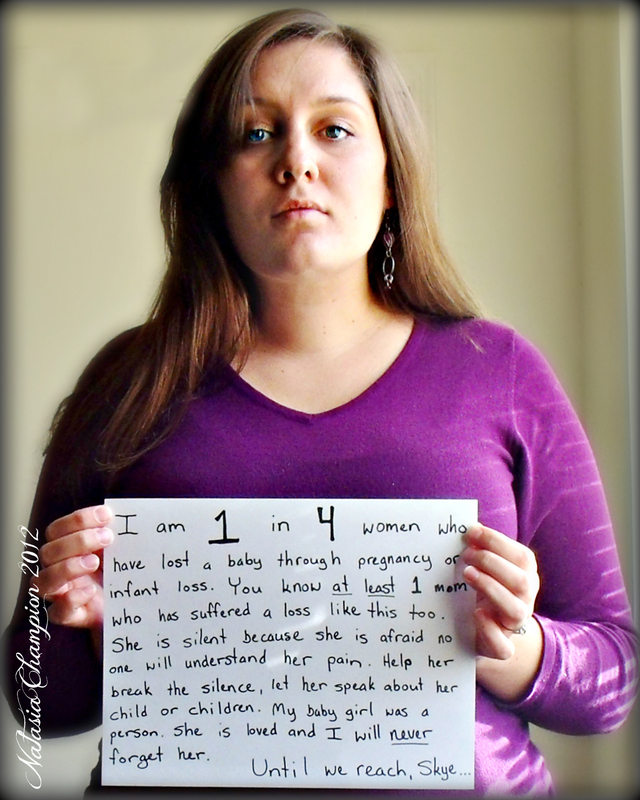 I had only 17 days with my daughter in this world outside the womb, and I will not get one day back to do over. 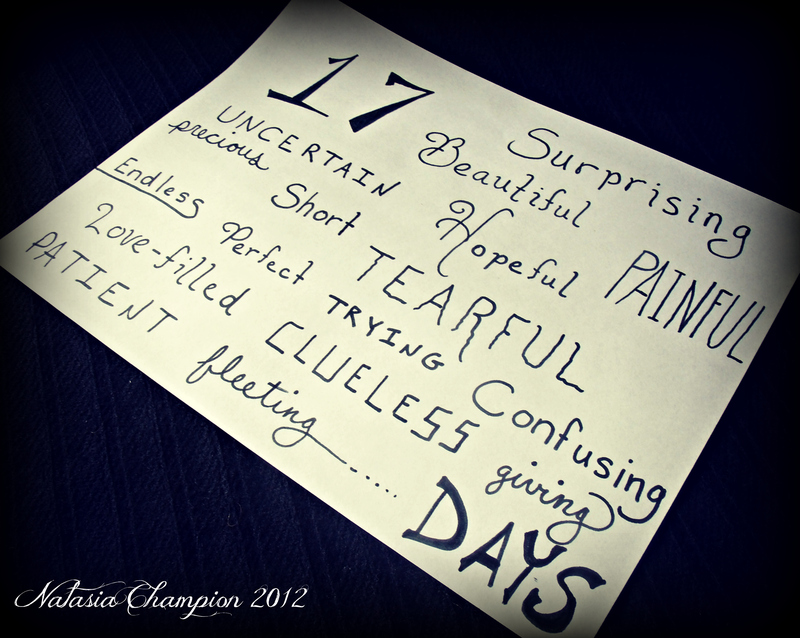 A whole lifetime in 17 short days. Skye was my first baby. When I lost her, I did not have other children to hold and hug and cry with, at least not from my own womb. I did, however, have five little girls I had all but birthed. My five younger sisters were my first “babies”, I had been as much a part of raising them as my mom and dad. I had seen their first moments of life outside the womb, I had helped with 4 of their 5 births. They will always be my babies more than my little sisters, there is a 10 year gap between me and the oldest, 18 years between the youngest and I. It was hard on them, I believe, when I got married and moved out of the house. As my sister Grace said on my wedding day, tears rolling down her cheeks right before I headed up stairs to say my vows, (she was 5 at the time) “I’m losing my sister!” I always tried hard to keep that from being so, to reassure them that I would always be there for them, even if I didn’t live in the same house. I tried to include them in everything, do something special on their birthdays, include them in important life events. We found out I was pregnant right before we moved to Colorado, and they were heartbroken. They used to talk about me having a baby and being aunts (my brother had 2 kids, but he had lived out-of-state for years) and being able to be hands on with their niece or nephew. As hard as it was for us to move home when our business failed, my sisters, in their innocent child minds, were thrilled that I would be home in time for their niece to be born and I would once again be in their lives on a daily basis, living in the same house for a little while. They were so excited when I went into labor and anticipated what the next few hours would bring as the baby would be born right there in the house. Nobody was as excited to hold Skye and love her as they were, each of them being tender little mommies and in love with babies in general. Then it all went wrong. In the commotion of going to the hospital at the last-minute to deliver and the ensuing drama, nobody really thought about those poor little girls waiting at home for their niece to arrive into the world. Nobody had time to sit with them and ask them what they were feeling. As we all waited for Skye to get better and come home, each person was engrossed in “adult worries”, I don’t think any of us stopped to think about how they were coping. They could not visit the NICU while Skye was there, it was cold and flu season and school age children were not permitted, especially not five at a time. 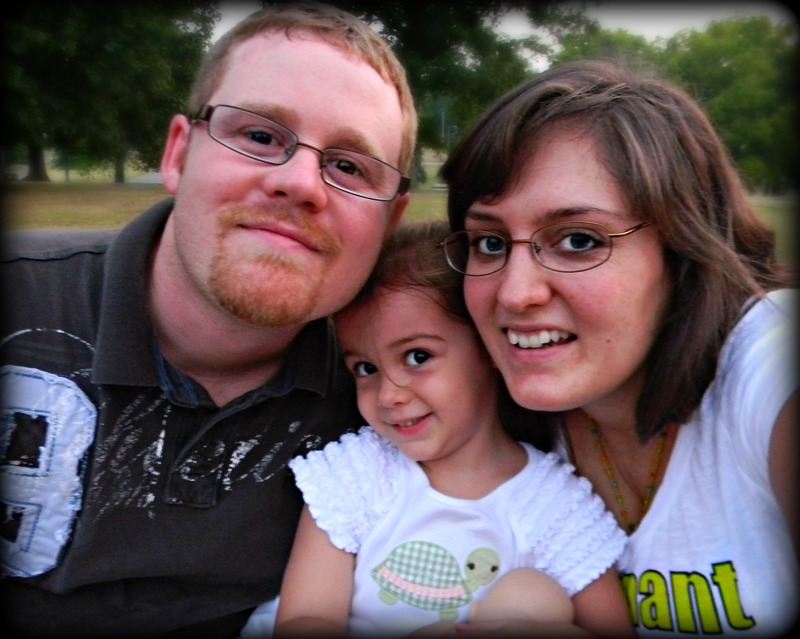 They had to settle for pictures and videos, and the hopeful promise that they would get to hold Skye when she was better. She never got better. 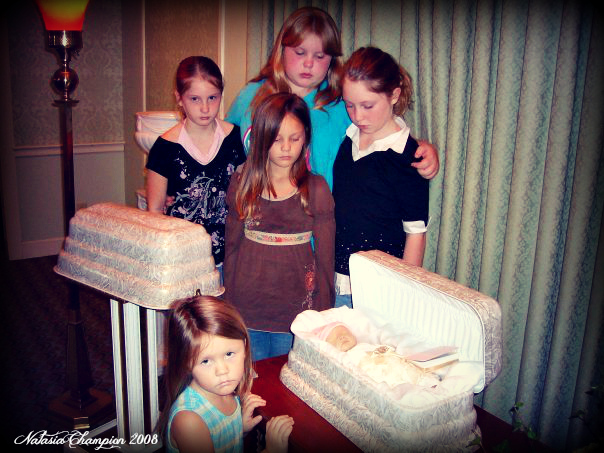 In the midst of my grief, in the very throes of my loss, during the private family visitation on October 14, 2008, my sisters got to meet Skye for the first time. She was in her little coffin. They would never get to hold her. Even Josh and I finally got to hold her at the very end as she passed, but these tender little girls would never have the bittersweet joy of holding her, only lightly touching her tiny fingers and kissing her lifeless features ever so gently. I have a picture that makes me cry every time I see it to this day. For the very first time I glimpsed the real, tangible pain they had been experiencing while all the adults had been busy with their own worries. I saw written on their faces the devastation of loss, and they were so young and so deeply affected by the tiny baby they had never met. They were 13, 12, 11, 7, and 5 years old. The picture speaks so painfully for itself. Clockwise from left: Nevada 11, Noel 13, Naomi 12, Neryah Grace 7, Nalana 5. Her very first picture, just minutes old, and the only time I ever saw her smiling. As I’ve said before, I was pregnant with Skye out in Colorado and she spent her entire life in Kentucky, but we now live in Tennessee and I have no pictures of her place of care or birth, none that I’d like to represent this post any way. Instead, I’m going a little outside the box and posting a picture of the place that held her the longest and cared for her the most tenderly and lovingly. My womb has held 3 babies since Skye, one is with me, one left this world before I even got a chance to process that it had been here, and the third is tucked safely inside as I type, awaiting his entrance into this world from the safety of the womb that held his sister. 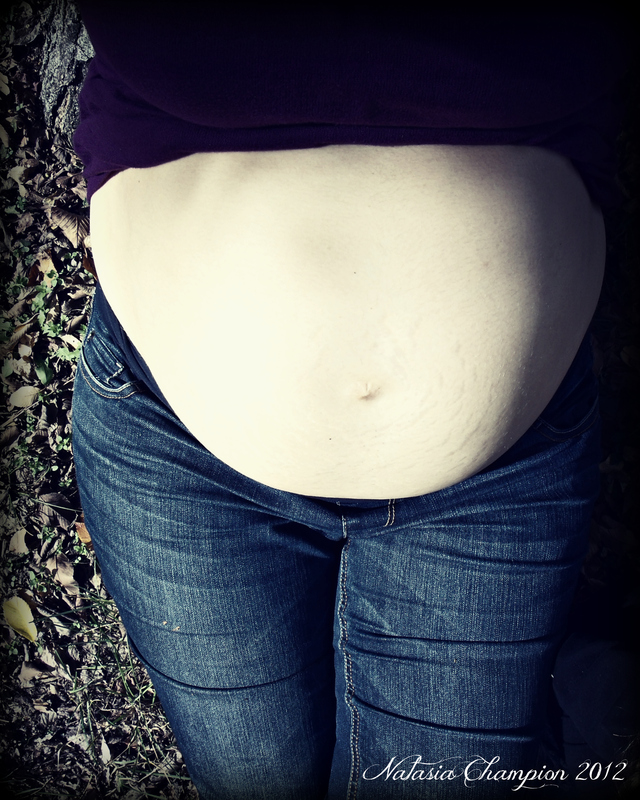 This picture is actually a recent one and I’m pregnant with Gavin, but somehow it is fitting to use a picture of my (hopefully) last pregnancy to illustrate my very first. They say one of the best ways to find healing in your grief is to reach out to someone who is going through something similar and offer help, sympathy, compassion – in other words, minister to them and you will actually be ministering to yourself. I have found this to be true. I have had the honor of meeting so many beautiful people on this sacred journey, all traveling a similar path. It’s not something you hope for, but since I’m here, I’m glad I have had so many opportunities to love, help, share, and bless others. This past June I had the honor of embarking on a project that is very personally dear to my heart. When I first started out on this loss journey, I could not possibly know that one of the hardest things about losing my baby was that I lost all the potential memories we might have made. Those little things like her first tooth, or her first taste of ice cream, or trying to keep her from tearing the wrapping off the presents under the Christmas tree before Christmas, or splashing in a mud puddle after a Summer rain – you don’t realize all the things you say goodbye to forever when you say goodbye to your baby. 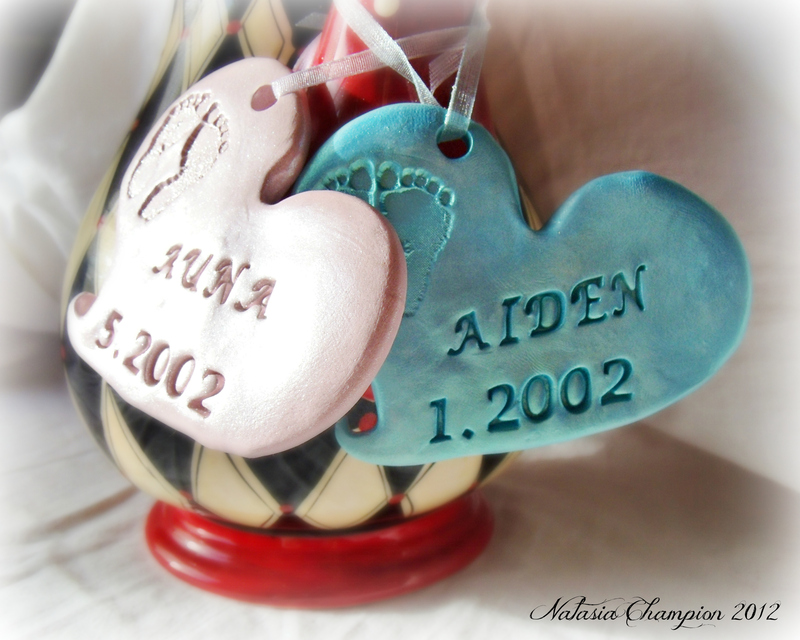 Like many other families, I began collecting keepsake Christmas ornaments each year beginning the year I got married. My favorite part of getting a tree and decorating it is not making it picture perfect or color coordinated. My favorite part is putting on the tinsel and remembering the first time I helped my Grandmother decorate her big tree when I was a girl. Its putting on the lights and remembering how my dad used to get so frustrated with untangling all those lights, but he and my mom would work at it, bickering back and forth, and the finished tree was sparkly and glorious. Its pulling those ornaments out and remembering having my little sisters (who are all but grown now) painting little childish designs on simple ball ornaments so we could have unique keepsakes to hang on our first tree as a married couple, or seeing “Champion 2006” and marvelling that it has already been 6 years we’ve been married, or pulling out the little pink and white candy cane and remembering how when everyone else had all but forgotten I was spending my first Christmas without a baby in my arms, the wonderful people at Hearts and Hands had not and they sent a hand written card and that ornament to me in my darkest, loneliest hour, several months after everyone else had gone on about their lives and I was stuck in a Hell I could not escape. My project has been several years in the making, an idea and a wish mostly, but this year it materialized into “In Memory Of” an ornament donation program. Many people who don’t understand loss, especially child loss, think the last thing you want to do is “dampen the holidays with grieving for a loss” but what so many don’t understand is, we don’t stop grieving. Holiday, ordinary day, everyday, you don’t stop thinking of your baby and wishing for those memories you never got a chance to make. I personally think the holidays are even worse, that’s when you think of them the most. Each year when I pull out those precious ornaments, its like pulling out the memories, and since I had such a short time to make them with my baby, the few memories I have concerning Skye are the most precious. Since she has died we still get her an ornament each year, or I make one. I do this for all my kids. Hanging them on the tree each year gives me the opportunity to remember and even to make new memories with my family as my kids here on earth begin to learn about the sister they never met, how special she was, and why that makes them even more special to me and Daddy. It is beautiful. My ornament donation program took off from the very start, showing me that so many other families felt the same way I did. I have cried over tender, heart-felt emails telling me how I have touched them with my work and how I don’t know what that ornament means to them. Yes, they are free, but it is not the cost of the item that is the blessing. Most of my recipients can easily go and buy their own ornaments, make them, or even buy the ones I make that are for sale. I believe the magic is in the fact that someone cares enough to hand make this little token, knowing acutely how inadequate it is to fill the void, yet how beautiful it is to truly care days, months, even years after you have lost your baby, by someone who knows first hand how precious the memories are. The word donation simply means filling an emotional need rather than a financial one. I have a waiting list for bereaved parents, specifically parents that have suffered loss through miscarriage, stillbirth, infant death, or early childhood death (basically children 5 and under) because these parents got so little time to make memories, and that is ultimately what my program is about, making and enjoying memories. To find out more about this program you can visit my Facebook page. Ornaments from my “In Memory Of” donation program. This is one of the hardest ones. This has always been hard, ever since we lost Skye. No matter how I slice it, no matter what pictures I look at or choose, we will always have an incomplete family portrait. It is one of many shattered dreams that come with this kind of loss. I thought of drawing a family portrait representing our whole family, I thought of making a collage photo, but it just isn’t the same. There is no 4-year-old girl with her arms wrapped around her little sister or sitting in her daddy’s lap. She is frozen in time as a 17 day old baby, our first baby. The photo I am choosing for today is one that I think would make her happy if she looked at it. It is the way the world sees us now, seemingly complete, but that is not how we see ourselves. Skye will always be missing, in every picture, at every family gathering, from every holiday – she will always be acutely missed. Josh, me, Faith, and I’m pregnant with Gavin.